KPCC General Secretary Thampanoor Ravi told The News Minute that Shashi Tharoor has six stitches on his head. 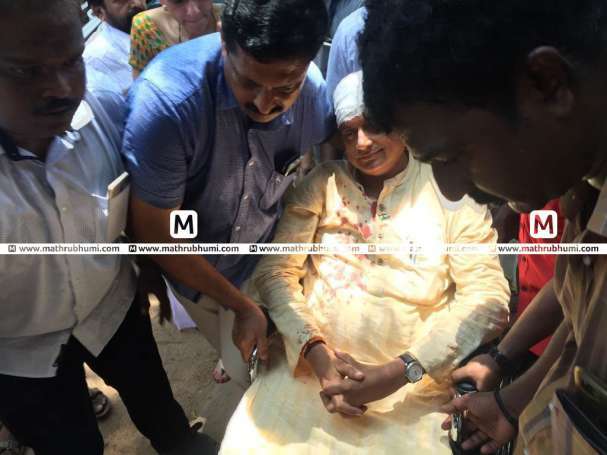 Thiruvananthapuram MP and UDF's candidate for the Lok Sabha elections Shashi Tharoor got injured during a Tulabharam ceremony on Monday. He was taking part in the ceremony on Vishu Day, at the Gandhari Amman Temple in Thiruvananthapuram. Tulabharam is a Hindu ritual in which a person is weighed against gold or grain or fruits, and the equivalent weight of that object is offered as donation. Shashi Tharoor fell when the balance scale broke and the hook support came loose. He sustained injuries on his head and leg and was first admitted at the General Hospital. KPCC General Secretary Thampanoor Ravi told The News Minute that Shashi Tharoor has six stitches on his head. He is under 24 hours observation at the Thiruvananthpuram Medical College. 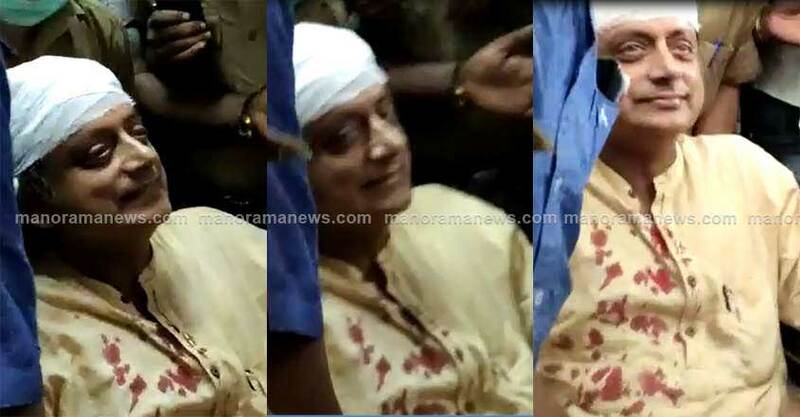 Pictures of Tharoor with blood spots on his kurta and bandages on his head have surfaced after the accident. A day ago, Tharoor had tweeted a photo of his mother and two sisters, joining his campaign in Vattyoorkavu and asking the BJP to note the ‘three proud and strong Nair women’. (Nair is an upper caste Hindu community). Tharoor had got widely criticised in Kerala for trying to please the Hindu voters at a time there are surveys coming out in favour of the BJP candidate from Thiruvananthapuram, Kummanam Rajasekharan.